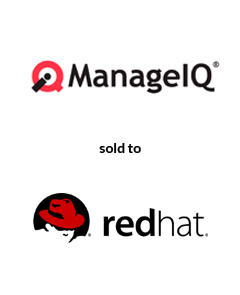 AGC Partners is pleased to announce that its client, ManageIQ, Inc., a leading provider of enterprise cloud management and automation solutions, has been acquired by Red Hat, Inc., the world’s leading provider of open source solutions, for $104 million. With the addition of ManageIQ technologies to its portfolio, Red Hat will expand the reach of its hybrid cloud management solutions for enterprises. With a team led by Scott Card, AGC Partners acted as sole financial advisor to ManageIQ.